The following review will be spoiler-free. A more in-depth review (which will include spoilers) will be posted on YouTube here in mid-October after folks have had time to view the film spoiler-free. With "Venom" having grossed approximately $205 million on its opening weekend, it's become evident that both passionate and casual film-goers are shifting away from the pool of film critics that were once regarded as an important voice on gauging quality. While audiences are diverse in backgrounds and taste, the top tier of film critics are less so. Regardless of the many negative reviews criticising aspect of the film ranging from the story to the shifts in tone throughout the script, viewers have turned up in full force and had a great time (as evidenced by consistently high audience scores on various sites that compile them). But let us briefly examine these so-called criticisms that seem to run rampant among the "professional" reviews. Without getting too specific, the plot of "Venom" does make sense if you pay attention. The first act introduces Tom Hardy's character, Eddie Brock, and gives the audience an important insight into him. His moral compass, the way he treats others, and what relationship he values most are all crucial fixtures of his character. These are all points to remember as the plot unfolds further; they give context to significant developments in the story. 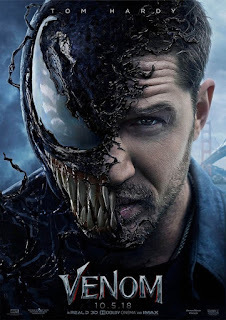 The introduction of the alien symbiote known as Venom to Eddie Brock's body and mind catalyses a bounty of comedic gems ranging from verbal banter taking place in Eddie's mind, to the physical antics of Eddie as he struggles to find a new equilibrium after being invaded by this entity. While some have criticised the drastic shift in tone that this creates relative to the more serious tone of Eddie's character introduction, this is yet another aspect that does make sense if you only bother to think about what has happened. Venom and Eddie have merged but they remain entirely distinct characters and personalities relative to one another. This comedic introduction is not merely a form of entertainment and merriment for the audience's sake, but lends itself to the story-telling. 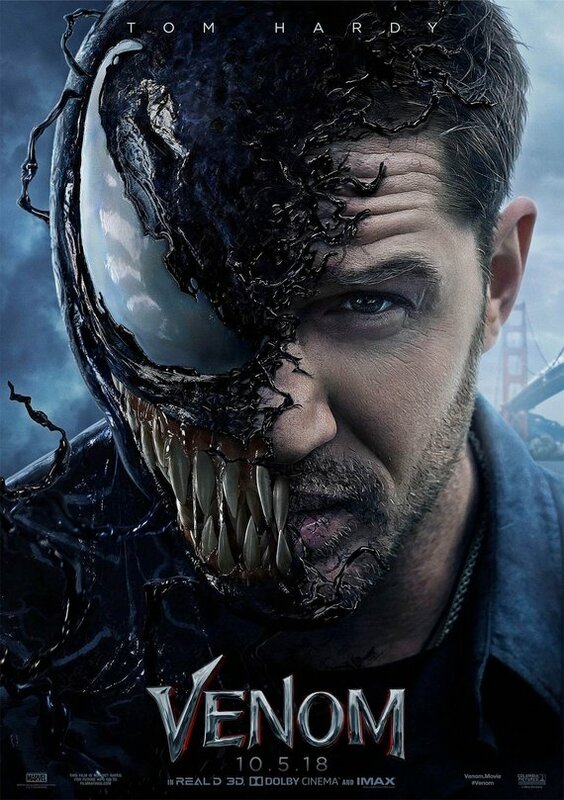 It conveys deeper insight into who Venom is and why Eddie would struggle so much to have this alien presence inside of him, besides the obvious differences in biological make-up. The human condition does not have a singular tone. There are highs and lows, laughter and tears, and everything in-between. Regardless of this being a single film, it seems odd for critics to be so hung-up on there being different 'tones' in the film when even the most saccharine and cheerful of romantic comedies will have a sad conflict to drive the central couple apart so as to give them a reason to dramatically reunite and resolve the issue. With there being more live-action superhero films and television series than ever, it's important to find a way to innovate past the more formulaic tendencies. If filmmakers and studios don't, they run the risk of the project being stale, losing the audience's interest, and in turn miss out on further profits or opportunities to tell more stories. "Venom" is a film that combines drama, black comedy, horror, and science-fiction genres, among other things. It's entirely unique in it's execution and has offered tremendous fun, laughter, and excitement. This is why it has turned a profit. Anyone could have predicted that Tom Hardy would give a strong performance, and that is exactly what he did. Riz Ahmed also offers an interesting, enigmatic portrayal, with the only downside being that there should have been more of it. Hardy has already revealed that an approximate 30 to 40 minutes of his favourite bits to film were scrapped from the final cut, and the current rumour surrounding this was that this was done to make the film move from an R-rating to a PG-13. This is yet another example of how clashes between studios and filmmakers can lead to creative casualties. It seems unlikely that the general public will ever get to see these missing parts, though it would certainly be worth considering to include either certain deleted scenes or a full, extended version for DVD release. With Hardy currently signed on for three "Venom" films, all interested in seeing this universe continue to expand would be wise to catch the film during its theatrical run since those profits will be crucial to determining what happens next. Also, be sure to stick around for the mid-credit and post-credit scenes. Venom is now playing in cinemas.